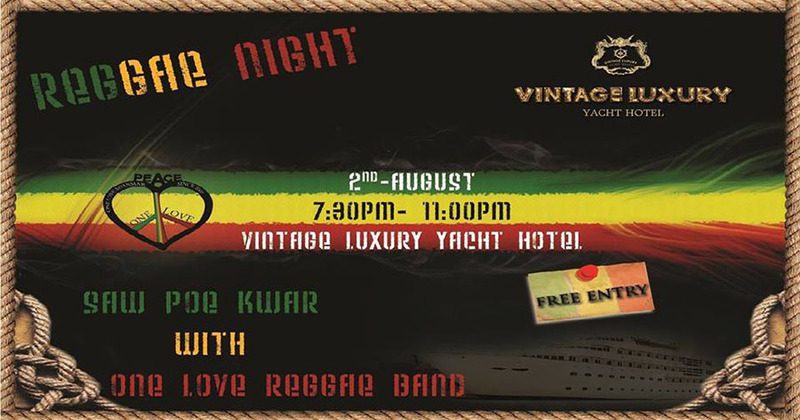 Reggae Night music festival featuring singer Saw Po Khwar starts at Vintage Luxury Yacht Hotel. Reggae lovers can attend free of charge. Aug. 2, 7:30 pm, Vintage Luxury Yacht Hotel. Free admission. The commemoration of the tenth anniversary of the death of writer Taryar Min Wai is scheduled at the Yangon Book Plaza in Lanmadaw Township on Saturday. Literary talks and poem recitations in remembrance of the late writer will be held. A book on Taryar Min Wai will also be distributed at the event. Aug. 5, 1:30 pm, Yangon Book Plaza, Lanmadaw Township. A concert by the Myay Pae Yo band—with vocals by actor Min Maw Kun—is scheduled at Yangon Yangon Bar in the Sakura Tower on Friday. The band will perform new songs as well as old hits. The dress code is black. 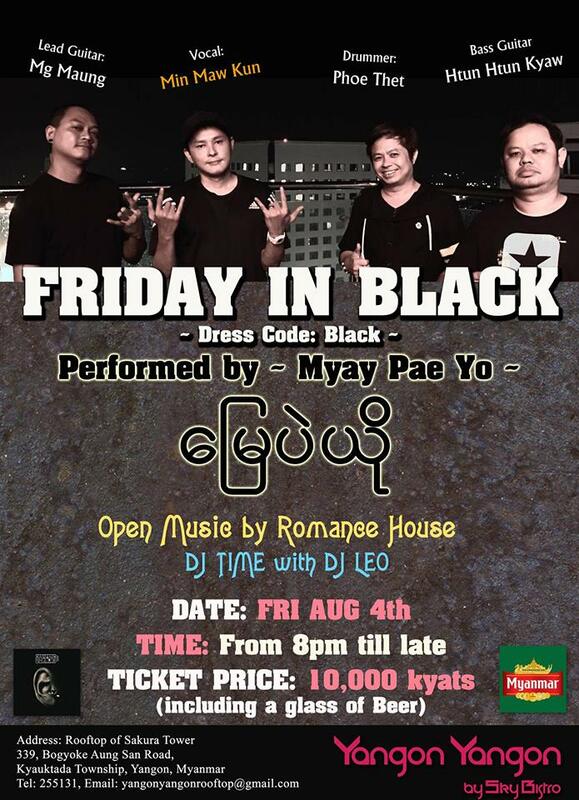 Aug. 4, 8:00 pm until late, Yangon Yangon Bar, rooftop of Sakura Tower, 339 Bogyoke Aung San Road, Kyauktada Township. Tickets: 10,000 kyats, including a glass of beer. 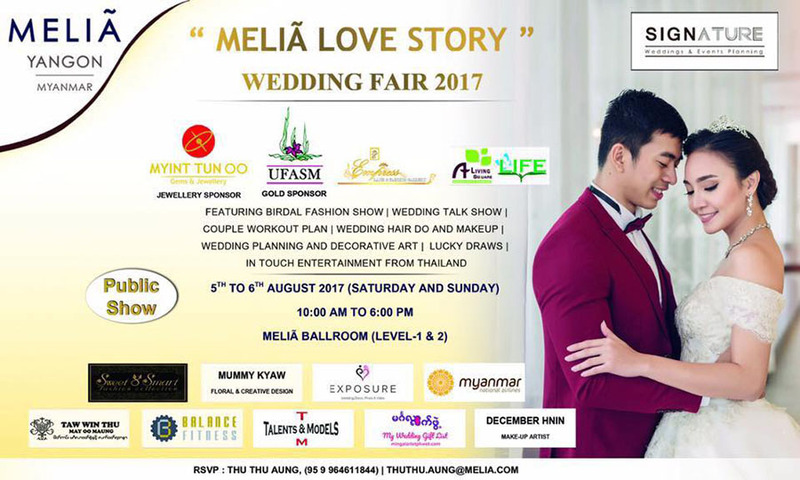 Melia Love Story Wedding Fair will showcase wedding accessories, hair and makeup, and bridal fashion. It will be held at the Melia Hotel on Saturday and Sunday. Artists and models will participate in the event, which also includes lucky draws. 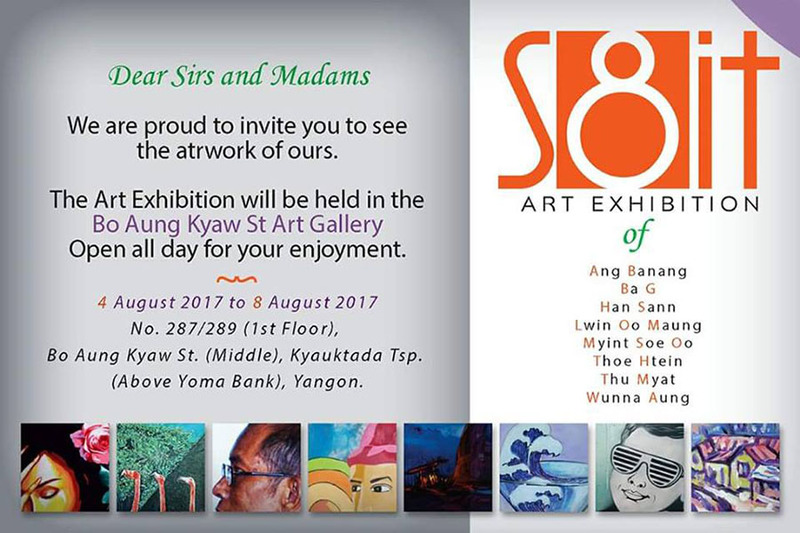 This art exhibition, featuring the work of eight artists, is open to the public at the Bo Aung Kyaw Gallery on Bo Aung Kyaw Street in Kyauktada Township for five days, beginning Friday. 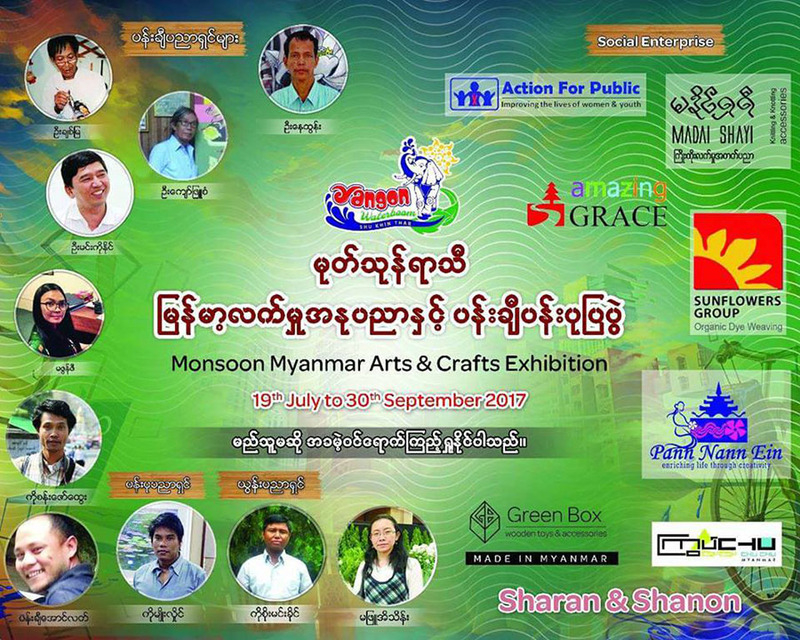 Aug. 4 – 8, Bo Aung Kyaw Gallery, No. 287/289 (First Floor), Bo Aung Kyaw Street, Kyauktada Township. 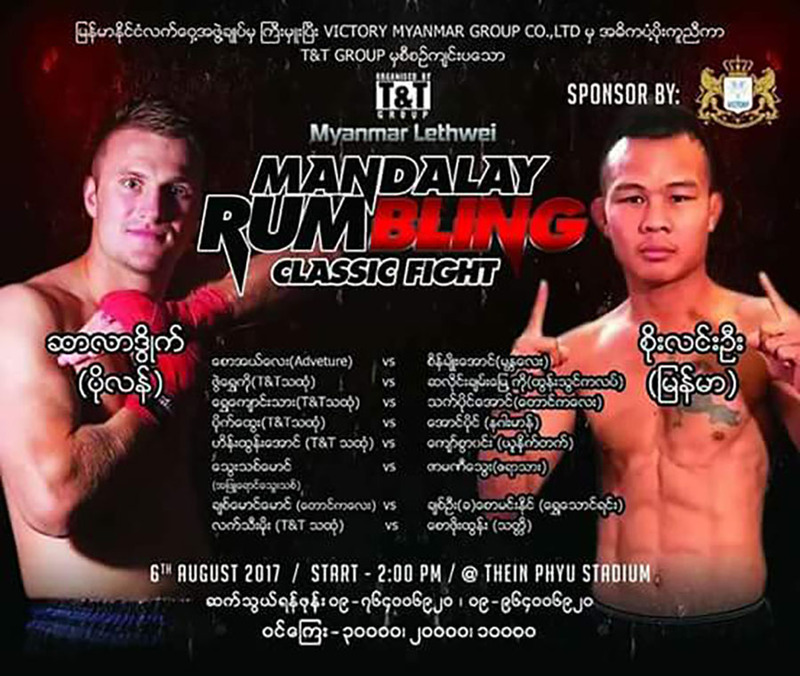 A traditional lethwei bareknuckle fight between Myanmar’s Soe Lin Oo and Polish Muay Thai boxer Artur Saladiak kicks off at Theinphyu Sports Stadium at 2:00 pm on Sunday. Aug. 6, 2:00 pm, Theinphyu Stadium. Tickets range from 10,000 to 30,000 kyats and are available at 09 764006920. 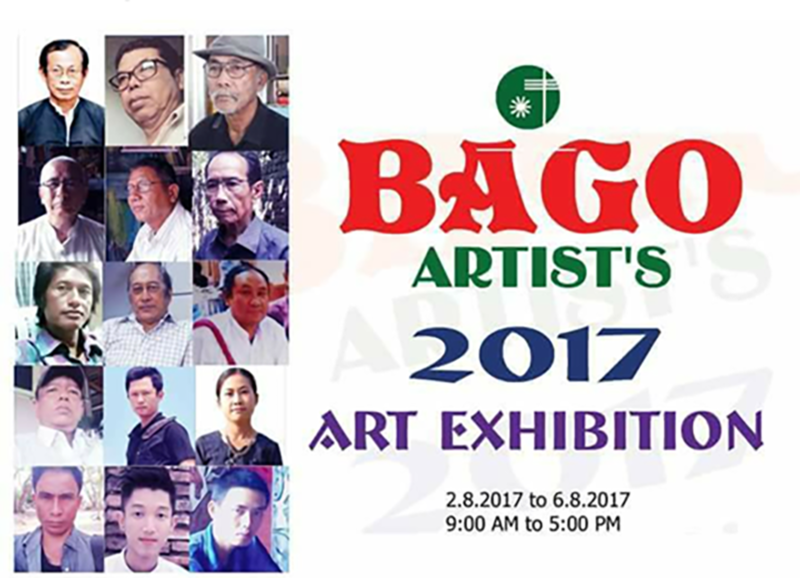 Bago Artists 2017, an art exhibition featuring the work of artists from Bago Region using various forms of media, is open to the public at the gallery of the Painting and Sculpture Association (Central) at Bogyoke Market from Tuesday until Sunday. Aug. 2 – 6, Painting and Sculpture Association, Bogyoke Market. The 18th Anniversary of the Seikkuchocho (Sweet Ideas) Bookhouse is being held in Annawa Prayer Hall on Kyartawya Street at the eastern stairway of the Shwedagon Pagoda from Aug. 1 until Aug. 13. Books will be sold at special discounted prices, and gifts will be offered. Aug. 1 – 13, Annawa Prayer Hall, Kyartawya Street. The monsoon season arts exhibition, featuring works by artists, sculptors and craftsmen of lacquerware is being held at the Waterboom in Shukhinthar (Pleasant Scenery) in Dawbon Township through the end of September. Paintings, sculptures, lacquerware and assorted handicrafts are on sale at the event. July 19 – Sept. 30, Waterboom, Dawbon Township. The rainy season weekly traditional variety shows of Tin Maung San Min Win and Min Shwe Yaung Tin are scheduled at 7:00 pm on Friday and Saturday every week at Myaw Sin Island. Aug. 4 – 5. Myaw Sin Island, Kandawgyi. Tickets are available at 09-7922866370.